Amazing story! Businessman Sam Rowley leads ‘Meals for a Million’ to prepare a million meals! With all the conversations about feeding the hungry, there is a workable, doable plan to feed all the hungry in the St. Louis area! And it can be reproduced elsewhere. With the vision and action plan – led by businessman and son of missionaries Sam Rowley (featured in this radio conversation) and Pastor Rick Biesiadecki – it is possible that, for a time in a large metropolitan area (St. Louis), no one, no child, need to go to bed hungry! Many volunteers are needed and expected to prepare the “million meals” on Saturday and Sunday, August 26 & 27, in the St. Charles Family Arena in Greater St. Louis. In addition to being an obedient act consistent with the words of Jesus in Matthew 25:31-46, it also advances answers to the prayer of Jesus that those who belong to Him would experience unity (John 17:20-23)! “ST. LOUIS, Mo. _ Meals for A Million is a one weekend event where communities come together to help end hunger in St. Louis. There are 5,000 ninety-minute slots for volunteers and donations are needed to continue to buy healthy nutritious meals for these families. Meals for a Million is a co-operative food packaging event to produce one million dried non-perishable meals to be distributed to starving people in the St. Louis area and international countries. Two nutritional formula’s (Fortified Rice & Beans and Instant Apple Cinnamon Oatmeal) will be packaged in sealed pouches. Each sealed pouch provides a complete meal for six children (or four adults). The cost of each meal is approximately $0.25 cents. 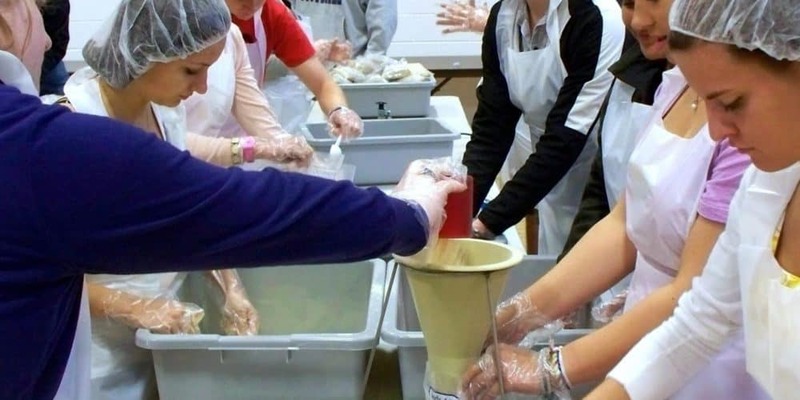 ST. CHARLES – Missouri Baptists here are looking for 5,500 volunteers to pack one million meals during the two-day Meals for a Million event. ST. CHARLES – Most Americans just go to the pantry or refrigerator when they get hungry, but hundreds in poverty don’t have that option. Missouri Baptists are taking the lead feeding these hurting families as well as creating a community witnessing event to pack one million meals on August 26-27 at the St. Charles Family Arena.